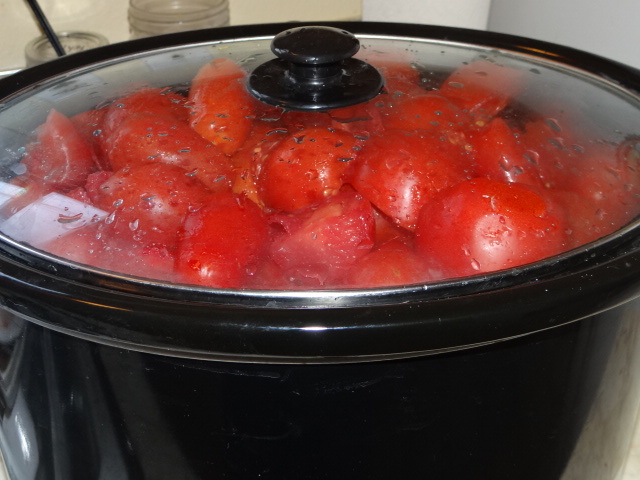 This morning I put the ripe tomatoes in the crock pot; they will simmer all day (most of the time with the lid off) and become fresh tomato soup after strained. 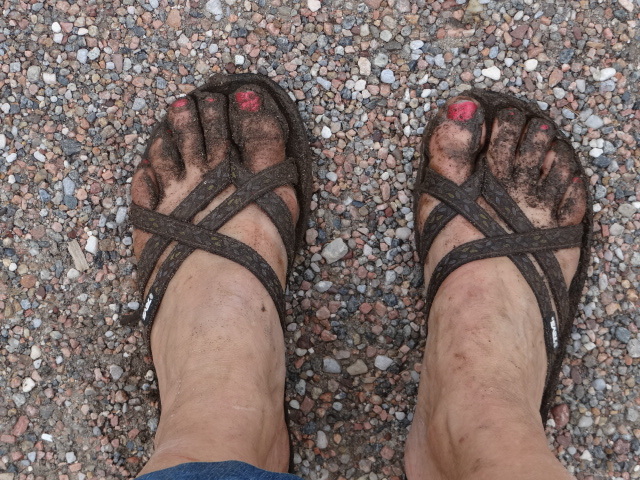 At lunch, I ran out to the garden to get the remaining produce. 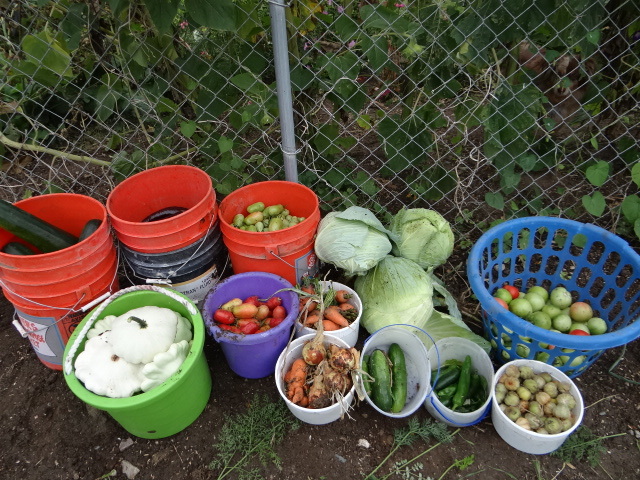 The photo below shows (from left, back row) zucchini, eggplant, green tomatoes, cabbage, more green tomatoes and (from left, front row) scallop squash, tomatoes, carrots, carrots and onion, cucumber, chilies and tomatillo. 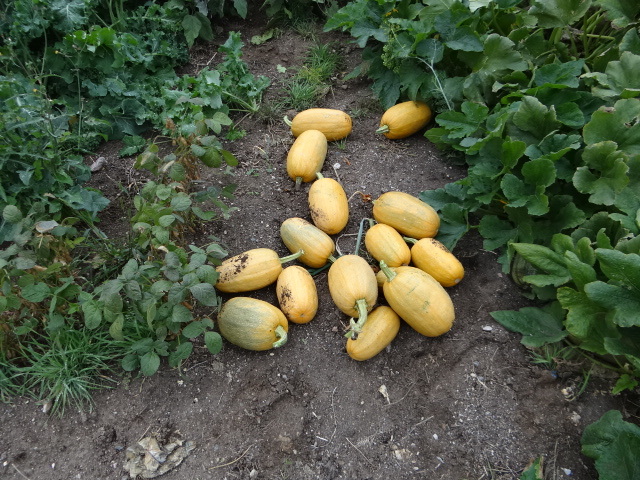 I also got plenty of winter squash, my favorite. 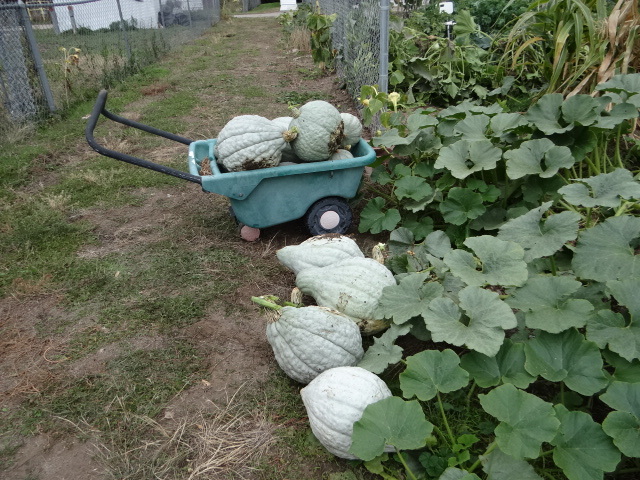 The first photo shows the Blue Hubbard haul. The second shows Spaghetti Sqquash. The temps are dropping fast and it is drizzling. I really would not be surprised if we get a frost. 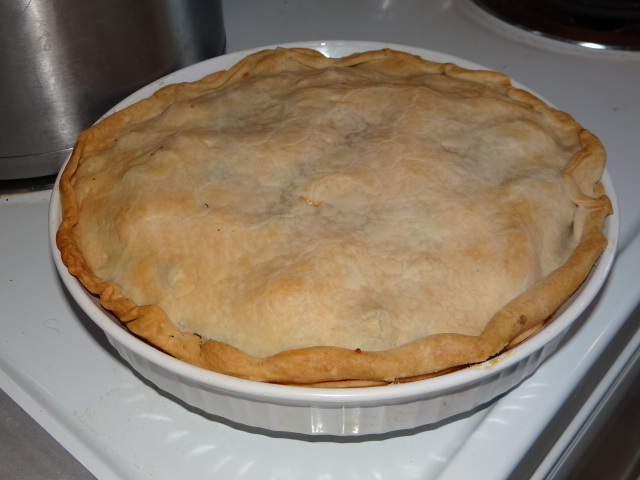 Here is the veggie pie, for later! This entry was posted in Gardening.